Can’t decide between a brownie, blondie or cookie? If you want something sweet that combines the flavors of all three of your favorite sweets, they you’ve got to give these these dessert bars at try. Anyways, happy cooking and enjoy your Saturday! Make the congo layer. Let cool completely. Make the brownie layer. Cool completely. 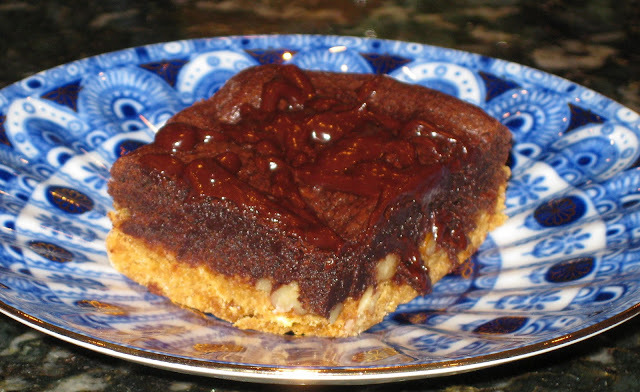 Make the chocolate glaze and drizzle over cooled brownie layer. Let the glaze set, then cut into squares. 1. Preheat oven to 350 degrees F. Lightly butter and flour a 9 x 13-inch baking pan. Tap out the excess flour. 2. To make Congo Layer: Sift together the flour, baking powder, and salt onto a sheet of waxed paper; set aside. In a large bowl, stir together the butter, brown sugar, egg, egg white, and vanilla just until blended. Stir in the flour mixture just until the batter is smooth. 3. Scoop the thick, sticky batter onto 8 or 9 different areas on the bottom of the prepared pan. With an offset spatula, spread the batter to cover the pan as evenly as possible. 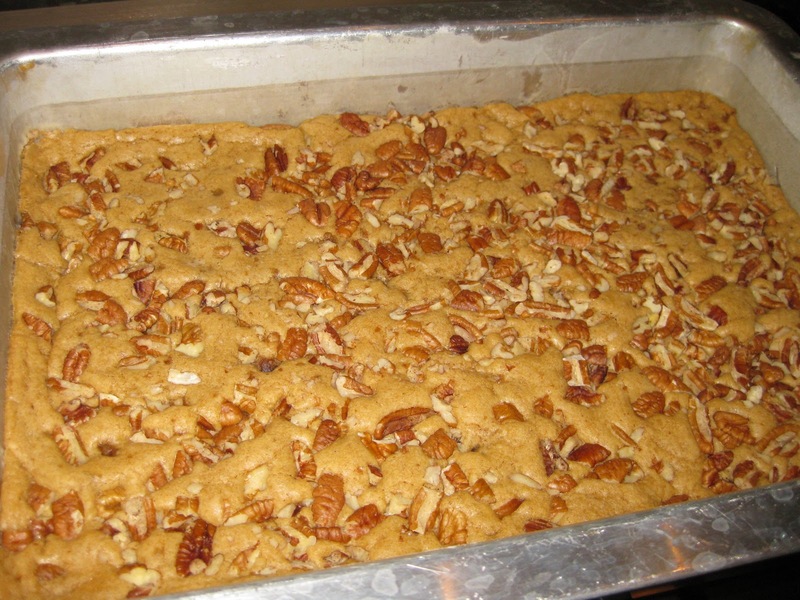 Sprinkle the walnuts evenly on top and gently press them into the batter. 4. Partially bake the layer until it is no longer shiny on top and is beginning to come away from the sides of the pan, about 20 minutes. 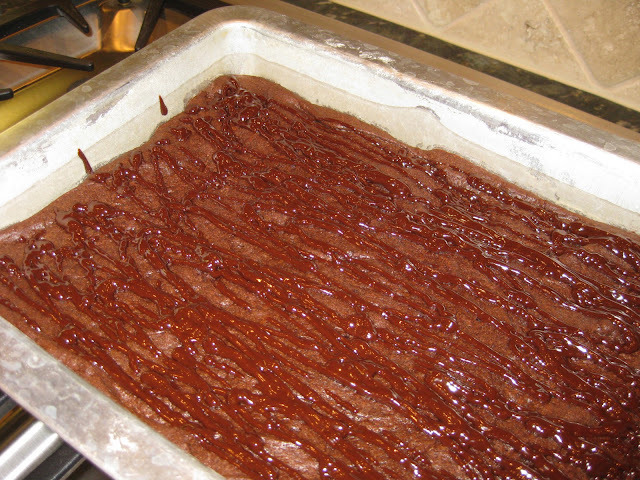 Transfer the pan to a wire rack to cool while you prepare the Brownie layer. 5. 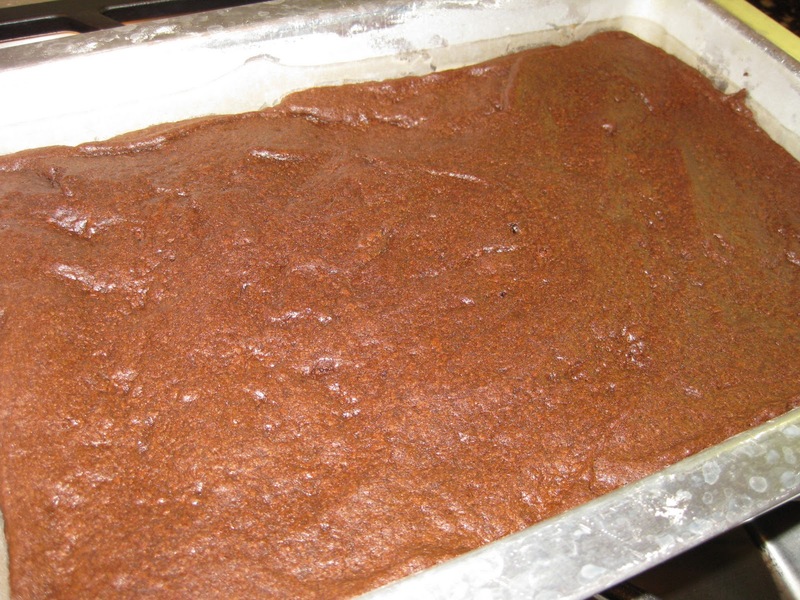 To make the Brownie Layer: Sift together the flour, cocoa powder, baking powder and salt onto a sheet of waxed paper; set aside. In a small, heavy saucepan, melt the butter and chocolate over very low heat, stirring with a silicone spatula until smooth. Or, combine in a medium microwave-safe bowl and melt in a microwave oven at 50% power for 30 second bursts, stirring after each burst, until melted, 1 to 1 1/2 minutes. Transfer to a medium bowl and let cool for 5 minutes. 6. Stir the sugar into the chocolate mixture until incorporated. Add the eggs, egg yolk, and vanilla and stir until well blended. Stir in the flour mixture just until the batter is smooth. Scoop the thick, sticky batter onto 8 or 9 different areas of the still warm Congo Layer. With the offset spatula, spread the batter as evenly as possible. 7. Bake the brownie until the top is no longer shiny; appears set; feels firm, rather than soft; and a round wooden toothpick inserted in the center comes out with moist chocolate crumbs attached, about 25 minutes. Transfer the pan to a wire rack and let cool completely. 8. To make the Chocolate Glaze: Place the chocolate in a medium bowl. In a small saucepan, bring the cream just to a boil over medium-low heat. Pour the cream over the chocolate and let it stand for 30 seconds. Whisk together until smooth and creamy. Set the mixture aside at room temperature just until it cools a bit and begins to thicken slightly. 9. Fashion a small cone out of parchment paper and half fill it with the liquid glaze. Snip a small opening at the end of the paper cone to allow a thin flow of glaze. 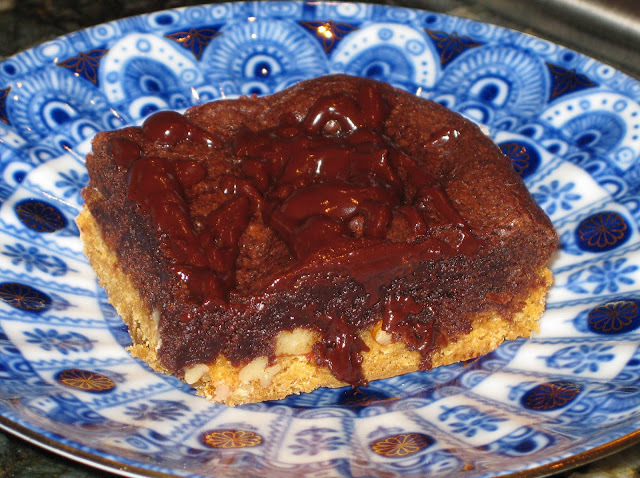 Pipe thin lines of chocolate in a zigzag pattern over the cooled surface of the brownie. Set aside at room temperature until the glaze is set, 1 to 1 1/2 hours. Recipe from: Baking for All Occasions: A Treasury of Recipes for Everyday Celebrations by Flo Braker. One Response to "Congo Bars"
These sound wonderful! Love the combination of the cookie layer and brownie layer!